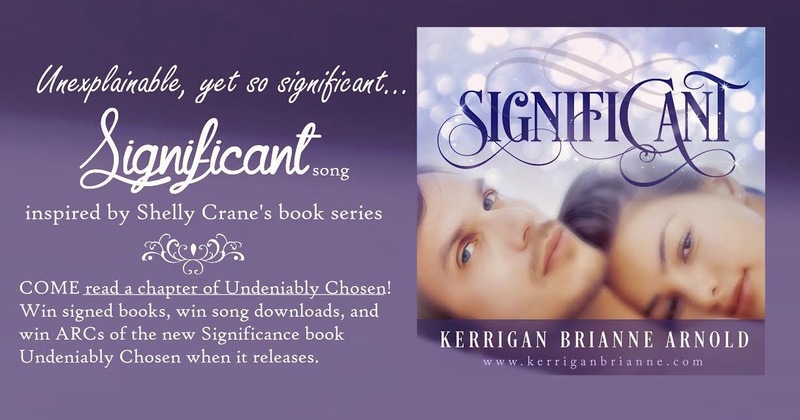 Kayla's Place: Significant Song - Inspired by @AuthShellyCrane book series! Significant Song - Inspired by @AuthShellyCrane book series! 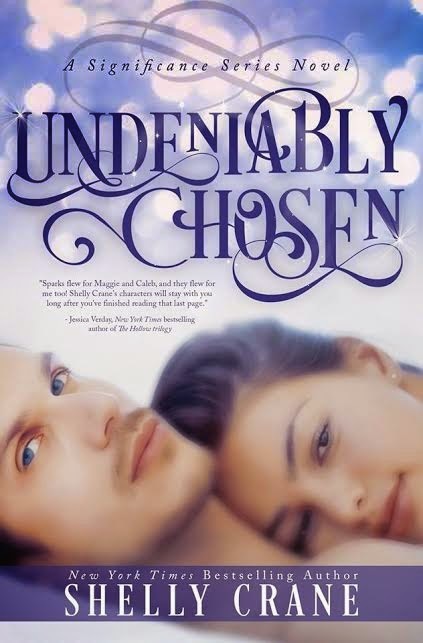 Keep reading for a chapter of Undeniably Chosen, a Significance novel! 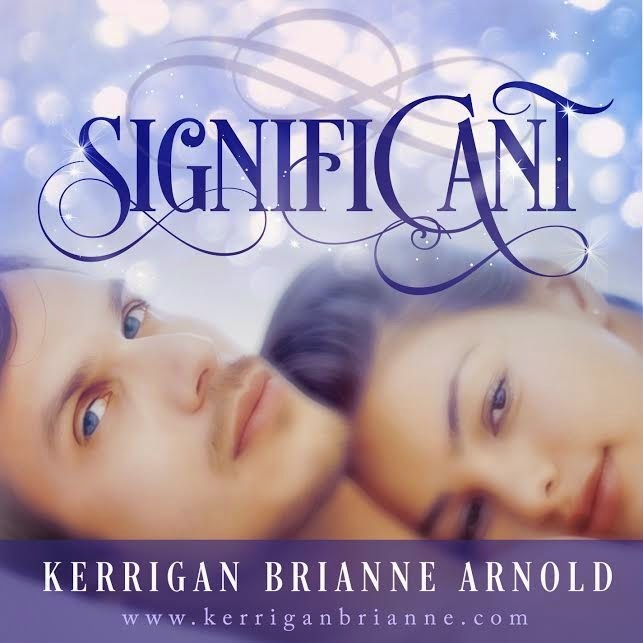 Kerrigan wrote this song, Significant, inspired by the first book in the Significance series, in 2013. With a keyboard, she put it up on YouTube and sent Shelly Crane a link, telling her she wrote a song for the book and she could check it out if she wanted to. Well, Shelly did check it out…and spent the next hour boo-hooing like a big baby. Shelly shared it on her page and her fans were pretty shocked. So, a year and half later, here we are and Kerrigan’s amazing song is available for you. Relive Maggie and Caleb’s first moments together as they realized that fate was coming for them in the best way. Seth stiffened beside me a second before his phone went off. It was a short, sharp, loud ringtone. He apologized and mumbled something about it having to be loud enough to wake him up at night at the fire station as he looked at the text message. I wasn’t trying to invade his privacy, but I heard it loud and clear in my mind as he read it over and over in his mind. He stared at it for a few long seconds before shaking his head and then tucking it in his pocket. Have you finished with her yet? He looked up with a grimace at my mother and I felt all his emotions at once. Anger, abandonment, happiness, jealousy, sadness, appreciation that they had tried, but they had failed. It wasn’t enough. He had lived in a certain kind of hell his whole life and the fact that they had been right there and he was the only one not rescued was like a slap in the face. I however couldn’t stop thinking about that text. Have you finished with her? What did that mean and who had sent it? It was obvious it was about me. So he had told his family—the Watsons—about me. And now they were texting wanting to know if he was finished with me? What did that even mean? “A lot of things happened before we were born,” I said softly. “What?” Seth groaned in disbelief. He stared at the floor, looking so dejected and lost. I hated that I was part of the cause of this. “Seth,” I whispered. I caught a flash of a memory from Seth from when he was a child, something he was trying to remember. A room, a woman, his mother maybe, a table or bed, a bunch of people gathered around her, but when he saw that I saw it, too, he pushed it away and glared at me. “We don’t hate you,” Mom soothed and stood, but she made no move toward him. I just sat down and stared at his hands. My body ached for him, for his touch, his comfort. Our first day together and we were already fighting and yelling. This wasn’t how this was supposed to happen. I felt awful that my significant felt so alienated. I felt the drop of a warm tear on my hand before I even realized I was crying. I wiped it away and looked up to find Seth had done a complete one-eighty. Apparently, seeing that tear had done him in. With my family there watching, he didn’t care a lick. He came and knelt at my feet. His warm hand wrapped around the back of my calf while the other came and went straight to my cheek. I sucked in a short, quick, embarrassing breath when his skin hit mine. He on the other hand let out the tiniest of groans. His thumb swept under my eye twice and he watched his movements as he cleaned up every drop. I found myself smiling, then I was biting my lip to contain the smile. And then he did the strangest thing. He took his thumb and tugged down, freeing my lip from my teeth. “We’re here now. You don’t have to keep this up.” I felt my heart tug painfully at his words. Seth gripped my wrist tighter to keep me from running. “Gaston, what are you doing?” he growled in a voice I’d never heard from my significant’s lips. Gaston pulled a bottle from his inside jacket pocket and held it up in front of his face. He kissed it and then grinned as he tossed it toward his Visionary. She gasped and tried to use her power to stop it, holding her hands out in front of her. But it didn’t work. She seemed surprised, her mouth parting and holding open in a silent scream as she awaited the fate of that bottle. Daddy gripped her arm and swung her behind him just as it smashed into his chest. She screamed just as I did. Seth’s tight grip held steady on my arm to keep me safely behind him even as he barked at his uncle angrily, asking him what was going on. Seth jerked and looked at my mother, but she kept her gaze on Gaston. Dad didn’t look good and I worried about him. There was so much going on, I didn’t know what I should be focusing on. “Seth, son,” Dad groaned, struggling to remain conscience as he bent to lean on the arm of the chair. Mom whimpered and could no longer keep up her pretenses of the strong leader in charge of things. She caved and rushed to lean down to him, never stopped touching him, but still kept looking back at Gaston as if he’d attack at any moment. I’d never seen my family so helpless. We were always the strong ones, the leaders, the ones all the other clans looked up to. And now the Watsons show up, supposedly with no powers at all, and now are able to lay flat my family with one vial? Seth looked at me over his shoulder and I saw something different in his eyes now. It wasn’t reverence or the beginnings of love or wonder. It was suspicion. I felt as if he himself had reached up and slapped me. It was his family that had come in and attacked my family. I saw him flinch with that thought. It was his family that sent him a suspicious text earlier asking if he was ‘done with me yet’. He flinched again, seeing where I was going with this. It was his family who hurt my father, his family who barged in here as if on a mission, and his family who were now watching him like they were waiting for something. I backed away a little, pulling my arm from his grasp. His lips moved, saying he word ‘no’ but no sound left his lips. His eyes begged me as he finally understood the gravity of his actions, of his family’s actions. Whether he understood what was going on or not, he was taking a side right now. And it was ripping me in two that he wasn’t choosing mine. Gaston looked at Seth and nodded. Seth shook his head as if he understood what he wanted but he didn’t want to do it. It was then I finally understood that my significant came here to betray me. A gut wrenchingly painful breath burst through my chest and out of my throat. The moan stopped Seth dead in his tracks and he moved to come to me, but I put my hand up to stop him. “How could you?” I asked him which as much conviction as I could, but it came out a pathetic whimper. I felt his confusion, his anger, his need to protect me, but also his will and want to protect his family. I backed away another step away as his back was turned. A member of his family that had fallen in the back of the room was getting up. Things were getting worse for us by the second. When Seth heard the noise behind him, he turned and lunged my way. I covered my head on instinct at the roar that erupted from him and the way he came at me. But nothing ever came. I opened my eyes to find Seth’s back in my line of sight. I peeked around him and saw the man glaring at him, his arm twisted in Seth’s grasp. “Don’t ever touch her,” Seth told him in that voice I had heard before and I was so confused I didn’t know what to do or think. Was he with me or against me? I felt arms go around my waist and gasped, but Rodney shushed me. “Come on,” he whispered into my hair, but Seth had already turned and started to lunge. I held up my hand and he stopped immediately. He sighed seeing it was Rodney and then sighed again when he saw me back away another step. “Ava,” he begged. For what, I didn’t know. What did he want me to do in this situation? Then his eyes rounded and his mouth opened to speak, but it was too late. I heard Rodney’s grunt and then he fell to the floor behind me as Mom screamed. I was yanked roughly by my hair as Gaston dragged me away from Seth who came for us. “And what about me?” Seth asked calmly and seemed to throw a wall up in his mind. I got nothing from him. “While you’re torturing and doing whatever you plan to do to her, what about me? I’ll feel that, have to…deal with that.” He gulped, but kept looking at his uncle. I looked away from him, completely disgusted. Even if he hadn’t come here to purposely ambush me, they had talked about ‘the family’ who had ruined his family all those years ago and apparently that trumped our bond. He was going to let them ruin us. Rodney woke up with a groan and scrambled up at seeing the scene, remembering where he was. His face was red with anger as he cursed and braced himself on the back of the couch. I tried to look at him, but couldn’t. Gaston turned us toward my parents and I could practically hear the smile on his face as he began to spew propaganda at them. I didn’t hear a word of it as my world crumbled around me. I just stood and tried not to crumble with it. Rodney’s phone dinged with a text. He ignored it. It dinged again, and then again without waiting. He sighed and pulled it out, to turn it off I presumed, but then he stopped and looked at it. Then he started to text back. My mouth fell open and if I could have smacked him in the back of the head, I would have. Only my brother would be texting his buddies back in the middle of a Watson\Jacobson clan battle. What a jerk. He slipped his phone back in his pocket and looked at me. He looked beyond angry, but there was something else. His eyes shifted left once before he mouthed for me to duck. I didn’t wait or think, I just trusted my brother. I yanked out of Gaston’s grip as fast and hard as I could. He had been holding me for so long that he has gotten careless and comfortable. I went easily, falling to the floor in a heap, my chin smashing into my knee. I hissed in pain, but before I knew it, Seth was smashing into his uncle from behind, toppling them over the coffee table to the floor. He punched his uncle just once and that was all it took for him to be out cold. I heard some scuffling behind me, but couldn’t look away from Seth as he rushed to me on his knees across the floor. “You’re hurt,” he breathed and took my chin in his fingers. His calm didn’t seep in and I wondered if our bond had been severed because my heart was broken. I pushed him away before I could find out or think too hard about it. “You chose, didn’t you?” I asked softly. “Or you just want my touch for yourself before you go,” I said, but didn’t look up at him. I felt his fingers under my chin, but it was as if he knew exactly where to press to not hurt where it was aching. He lifted my face gently to make me face him. He was so close that our noses almost touched. He slid down beside me on the wall. We looked over at Dad and Mom. Dad was already looking better so the poison apparently wasn’t deadly or permanent, but Mom had to stay with him. He was asleep with his head in her lap and she looked at us worriedly, listening, splitting her focus between us and Dad. Dad was going to be so pissed when he woke up. He hated when Mom had to take over. He wanted to protect her, always. It was in the Virtuoso man’s blood to. “Maybe he didn’t want you to know what his plan was and give it away? I don’t know. I just know what he did, and what he did was defy his family and save you. They were planning on taking you away from us, Ava. Do you understand that?” he finished, his words slow and telling. I sighed and almost smiled when I thought back to our conversation. “He did release me.” I grabbed my chest, feeling his heart beating next to mine as I worked so hard to feel him there, to feel him connected to me somehow, to know it was real. “He knew it was me that needed to be released,” I said in wonder, “and he knew I was already upset and freaking out so he said that he had to take care of some things but he would be back. I wasn’t even paying attention.” I sat there immobile and useless as my emotions overtook me. I could do nothing but let Rodney wrap me in his arms and cry. There is no official release date for this book, as you know. I’m shooting for the end of the year! You can find Shelly at the following avenues!